I want to get this up plenty early so everyone can get these events on their calendars. 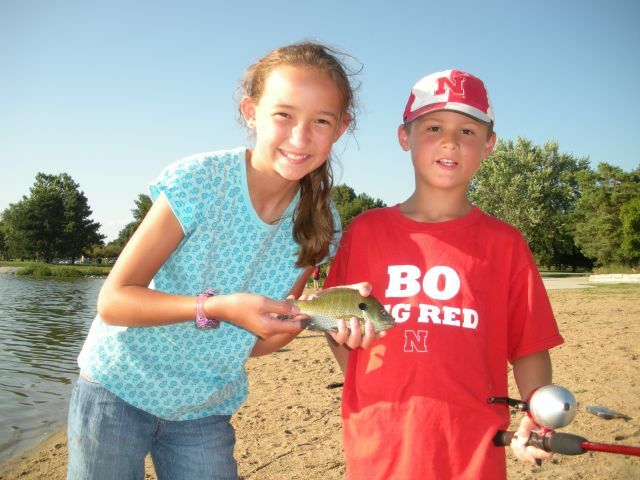 Here is a list of the Family Fishing events that are scheduled for eastern Nebraska this year. These evenings are informal and designed for new anglers or inexperienced anglers to come out, have a good time, maybe learn a thing or two and catch some fish! They are a lot of fun, I would highly recommend them. Tackle, bait and some expertise are provided; do not be bashful, come on out! 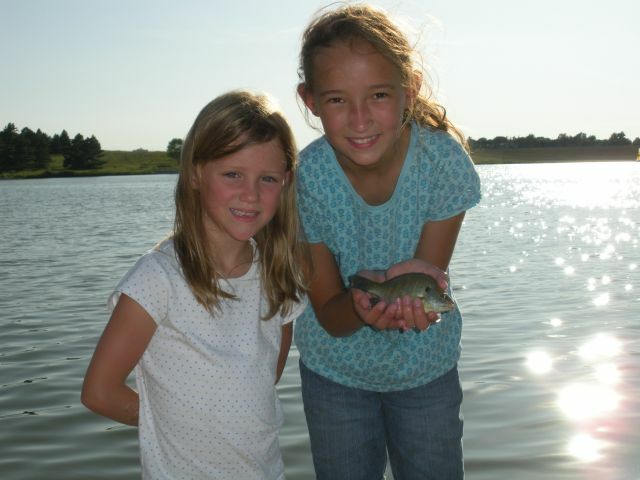 My Emily helping Brenna with a bluegill at a Holmes Lake Family Fishing night last summer. Another one of Emily with Brenna's brother, Joel. So, Mr. B, Am I gonna have to post the list for “Outstate” FFN’s, or am I jumping your next blog? Stay tuned. I just got the .pdf that I posted today; as soon as I posted it, I asked about the other .pdf that highlights the other Family Fishing Events. If you do not see it in my blog within the next week or two, remind me!